I really love mark. products and wanted a cleanser that is actually good for my skin. I have combination skin and have occasional breakouts. This cleanser works pretty good! I still have breakouts, but they are less often. The bottle is a nice size, and seems like it is going to last a while. It is a little pricey, but you only have to use a small amount (maybe a dime size). The only problem that I have with it is the chemical feeling it has on my face. It tingles when you rinse it off, and it can burn your eyes a little bit. I just make sure to use a lotion-like make-up remover before I apply the cleanser. On the upside, my complexion is great, and my skin feels very smooth. The scent is nice and light. All in all, I like it enough to finish off the bottle, but I will not buy it again. I think I will probably look for something more natural and less harsh on my face! If you have acne though, you may want to give it a try! Effectiveness Did not completely keep my face acne free. Ease of Application Keep away from eyes! Works okay for some, works fabulously for others! When I got this cleanser I was not initially really impressed. It left my skin feeling a little on the dry side and I wasn't sure that it was really helping the condition of my skin at all. However, another one of my friends saw instant improvement after about 3 days of using the mark. That's Deep Purifying Gel Cleanser. Over time, I grew to like the product more and more though. The scent isn't unpleasant, but I think that the scents of the other mark. facial washes are more pleasant and slightly less medicinal. I think that this is a great product to add into a skincare routine, but I wouldn't recommend it as the only thing you use. In conjunction with other products containing salycic acid and other acne-fighting ingredients (since my acne and oily skin go hand-in-hand) it is a great find though. For the price, I would say that this is a good value as long as you buy it in one of the many sales that mark. has on its skincare products. The bottle is not huge, but a little bit goes a long way. I've used various Mark products for many years now but have never loved their skincare line. 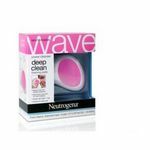 When they came out with some new products I decided to give them a shot and ordered That's Deep Purifying Gel Cleanser. I have comination skin and consistent, mild breakouts and I'm constantly on the hunt for the perfect skin care routine. This cleanser was a pleasant suprise! It is soap-free so it comes out like a gel and doesn't really lather much. I mix with warm water and massage all over my face for a few minutes before rinsing off. My face feels super refreshed, deeply clean, and not dried out after use. It even removes all of my makeup and it feels nice to use some natural ingredients. The smell is nice but light.. no strong, chemical smell as some cleansers have. I love that you can mix in mark's exfoliating beads so you can have a gentle wash one day and a much needed exfoliation the next, all with the same cleanser. After a few weeks of use, my skin was calm and reacted well. It didn't totally fix any oil or breakout problems- but it definitely kept them under control and kept me feeling fresh and clean. For the price- I think this cleanser bodes well against similar, much more expensive varieties! I'll be a long-time user! That's Deep Purifying Gel Cleanser worked ok. This cleanser did not irritate my sensitive skin. It left my face and neck feeling refreshed. I think it may have mint in it, after I rinsed the cleaner away my face felt minty. Not tingly, not overpowering, but just refreshed. That has to be the one thing that I like the most about this cleanser. It lathers pretty well and rinses away with ease. I don't think that it really does a great job of "deep cleaning". 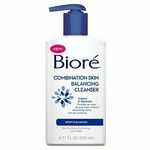 I use a toner as a part of my regimen and I noticed that there was more make up and dirt left on my skin after using this cleanser than my normal one. 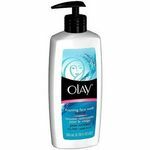 I tried using this cleanser for about a week and continued to notice excess make up and dirt after my toner. I will not use this cleanser on a daily basis. I may use it if I haven't worn make up that day or as a pick me up in the mornings. Overall I have to give this cleanser 2 stars because I don't feel like it did a good deep cleaning job as the product suggests.